What to know about TRID is that it will make it much easier to understand what your costs will be for financing right from the outset of the home financing process. Thinking of purchasing a home? Did the initial quote received from the loan officer accurately reflect the numbers to be seen at closing? This question might ensue some laughs. Most people are not yet aware that a major change to loan disclosure regulation took effect at the beginning of October 2015. The new regulation is called the TILA/RESPA Integrated Disclosure Rule or for short. What everyone should know about TRID is that it will make it much easier f to understand what the costs will be for financing right from the outset of the home financing process. John Brown, a loan officer (NMLS# 1105752) with RANLife states, "The regulators got many things right with this change. They interviewed a large panel of consumers to find out what they wanted to see on these loan disclosures." He further points out that TRID requires two new disclosures that replace the Good Faith Estimate, the Truth In Lending Disclosure and the HUD Settlement Statement. These new disclosures are called the Loan Estimate (LE) and Closing Disclosure (CD). The Loan Estimate is easy to understand and comprehensive. The Loan Estimate and the Closing Disclosure documents are structured in the same visual format for easy comparison. Once you receive your Loan Estimate, the lender has little to no leeway to change estimated lender fees and closing costs in general. The Closing Disclosure which in most cases will represent final numbers must be given to you three days prior to signing final documents to allow plenty of time for review. John also states, "These new benefits have increased timelines for the financing process so be aware that in most cases loans might take a little more time than first expected." Overall, TRID will allow consumers to trust initial estimates with greater confidence and make it easier for consumers to understand how the numbers breakdown. 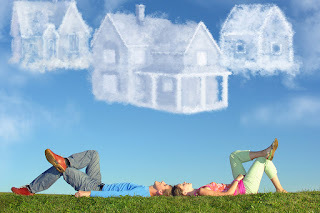 Still pondering whether or not to purchase a new home or refinance a current home? Call for a complimentary home financing consultation.